It's time for some very special guest stars! 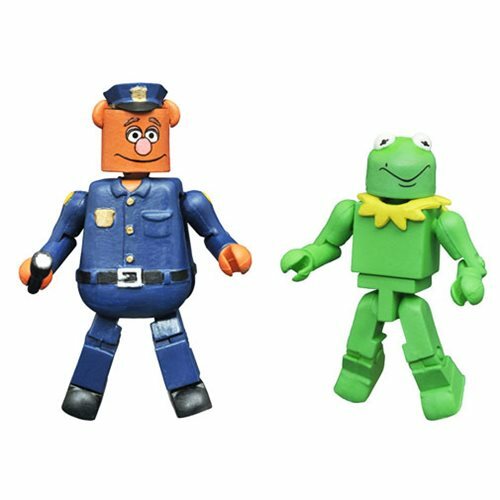 The Muppets Minimates Series 3 features Kermit as Constantine and Fozzie Bear on Patrol as a 2-Pack. Each 2-inch Minimates mini-figure features up to 14 points of articulation with fully interchangeable parts and accessories. Ages 8 and up.